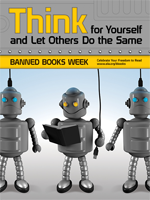 It's National Banned Books Week (September 25 - October 2, 2010). This is a subject that resonates with me personally. I was born and until age 12 lived in a society where books were (and still are) heavily censored. So as a young adult, and to this day, having the freedom to pick up a book, any book, of my own choosing that focuses on subjects both orthodox and unorthodox, is a joy. It is a right that I value highly, treasure daily and one that I want my children and grandchildren to have in the future. The American Library Association put together lists of the Top 100 Challenged books by decade for 1990-1999 and 2000-2009, plus the Banned Classics List. After going through all three lists, I noticed that although I haven't read many of the titles in the first two lists noted, I have read about half of the books included in the Banned Classics List, and still own most of them. I couldn't help but notice that even in the 2000-2009 list, classics that influenced my younger years were included: To Kill a Mockingbird by Harper Lee, Of Mice and Men by John Steinbeck, Farenheit 451 by Ray Bradbury, and a book that I re-read this month and discussed in one of my weekly reads posts, A Separate Peace by John Knowles. They even include some later titles that I still love and own such as The House of the Spirits by Isabel Allende and Snow Falling on Cedars by David Guterson. Of course these stories might not be for everyone, but they are valuable to many including me. I've had Rainbow Boys by Alex Sanchez on my list of books to buy and read for a while, but didn't realize it was also on a list of Banned/Challenged books. What about you? Have you read any of the books included on these lists? Do you make a point of reading banned books? 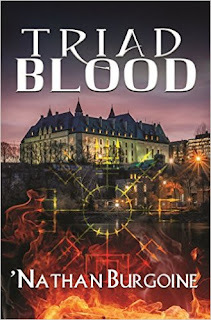 Check out posts on National Banned Books Week at Lurv a la Mode and Leslie's Psyche. I have to say, I'm not aware if in Canada, there's a banned books list, but you know what surprises me? The reasons why these books are banned. Most of them seems to be because they contain real, pertinent issues of life! I mean, seriously?!? Growing up with weekly trips to the town library, access to the school library and visits from the Bookmobile (loved the Bookmobile) I can't imagine what it was like to have your reading choices so severely restricted. I hope someday that won't always be the case. Nath, yes! I also read the reasons behind the challenges/bannings and well... you said it best. It doesn't make sense to me, but then my mind doesn't work that way. Those lists always surprise me too! It boggles the mind, and the reasoning behind some of the challenges. I went through the lists and, as you, have read probably more than half the books listed as banned, and several when I was young and/or read in school. I am completely stunned at some of the books that are on those lists - Steinbeck??? Huxley??? Angelou??? Blume??? I was fortunate in that my parents never policed what I read, ever. They may not have agreed with some of my book choices but they considered reading a means of opening doors and education. I'm vehemently opposed to censorship and always have been. Parents do have the responsibility to oversee what their children read, however, books in general should not be banned for the broader society. I know Indi! I was surprised at the books that are considered "filthy" and/or inappropriate for high school reading. It's interesting that a lot of those books were required reading for me, yet I don't remember them as such-- at all! I'm still shaking my head Blume. I did notice that some of the books Challenged were also banned at some schools or libraries in Canada, not nationally but in some districts.